* Local riders: Rhys Carter was rapt with his top 20 result. 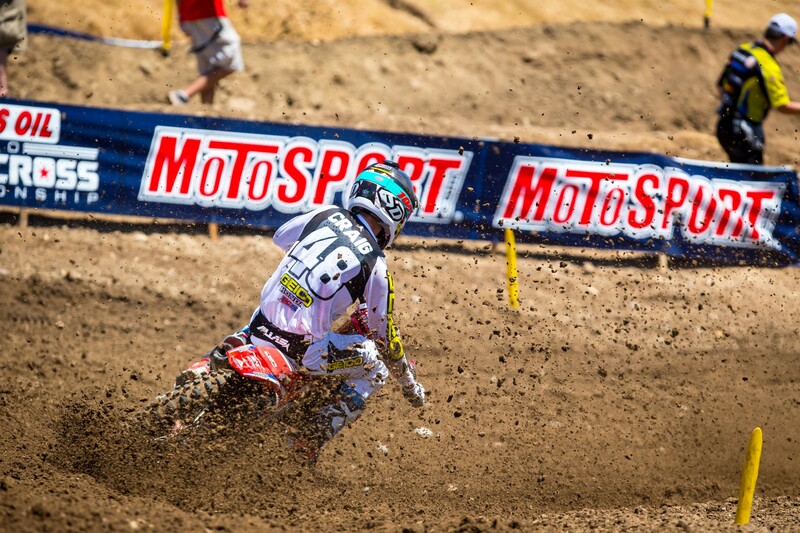 He's in 17th place overall on equal points with Cody Cooper who finished 14th in moto 1 but Dnfed moto 2. Unanswered questions By Aaron Hansel. 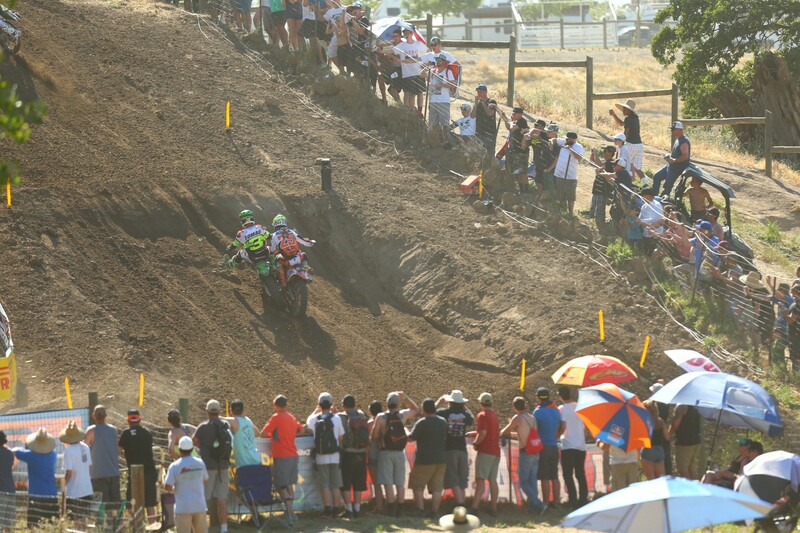 The Red Bull Hangtown Motocross Classic has a way of leaving us with more of them than we’d like. Unforeseen things often happen, riders crash, and mechanical failures abound, leaving us to wait another week for the answers to the things we’ve been bench racing, arguing, and wondering about to start taking shape. But not this year. 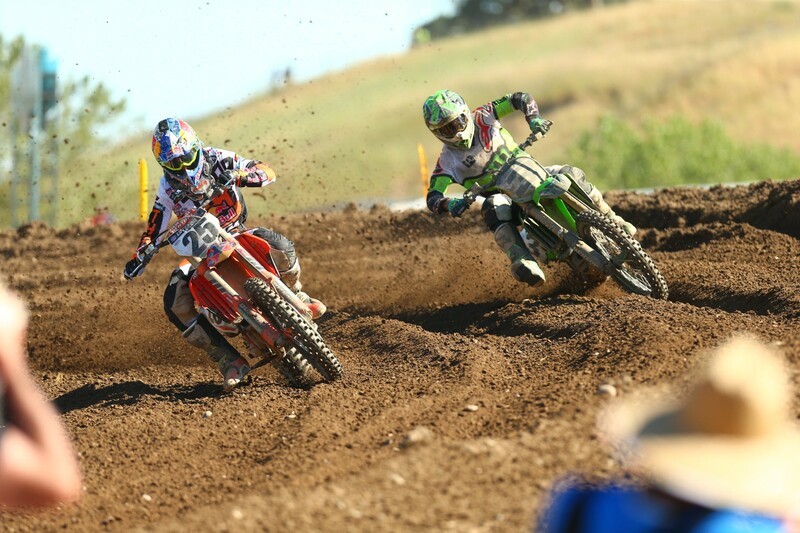 This year two very big question marks were obliterated with authority when riders in each class laid down rides of unforgiving dominance, leaving us, and the competition, wondering if anyone will be able to answer the warning shots fired today by Eli Tomac and Zach Osborne. We’ll start with Tomac. The Monster Energy Kawasaki rider won both motos going away, and he wasn’t even flawless, which is a terrifying thought for everyone else. 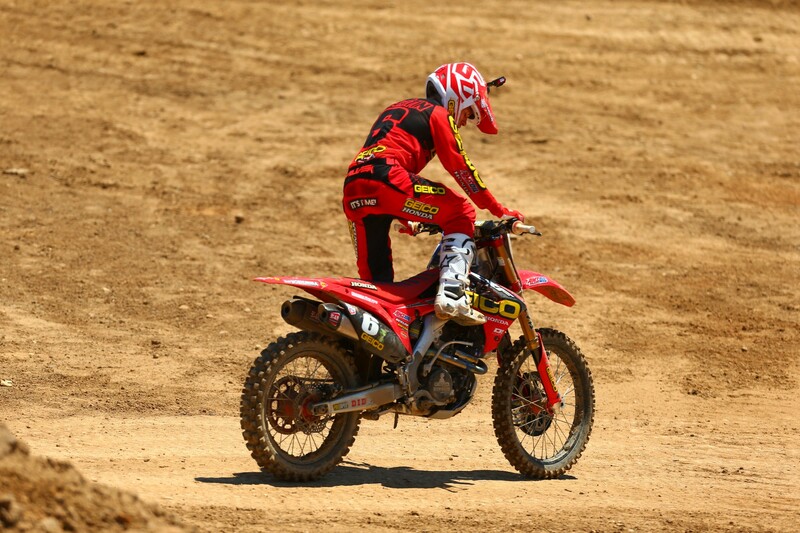 In the first moto he had a small crash while running up front all by himself, but still held onto the lead and was able to win the race by over fifteen seconds. 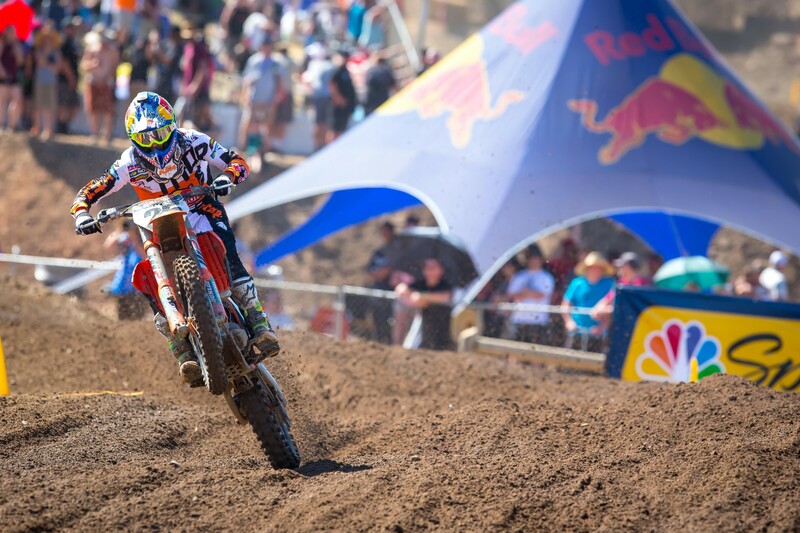 In the second moto he put himself in a tough position by getting a bit buried in seventh place while Josh Grant and Marvin Musquin were streaking away up front. Initially it seemed as though Grant might have this one on lock, but by the halfway point of the race Tomac had moved into third and was taking a few seconds a lap out of Grant’s ten-second lead. 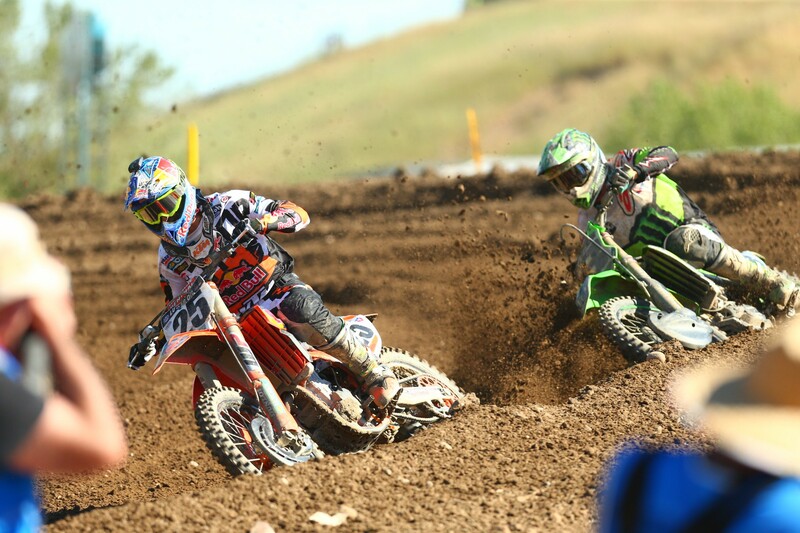 Grant then surrendered first to a charging Musquin, who came under fire from Tomac shortly after. To the delight of the crowd, Musquin fought valiantly, holding Tomac off for several laps in what turned out to be a terrific battle. But there was just no stopping Tomac, who took the long way to victory when he railed the outside of a left-hander to take over the lead, check out, and complete his perfect day. 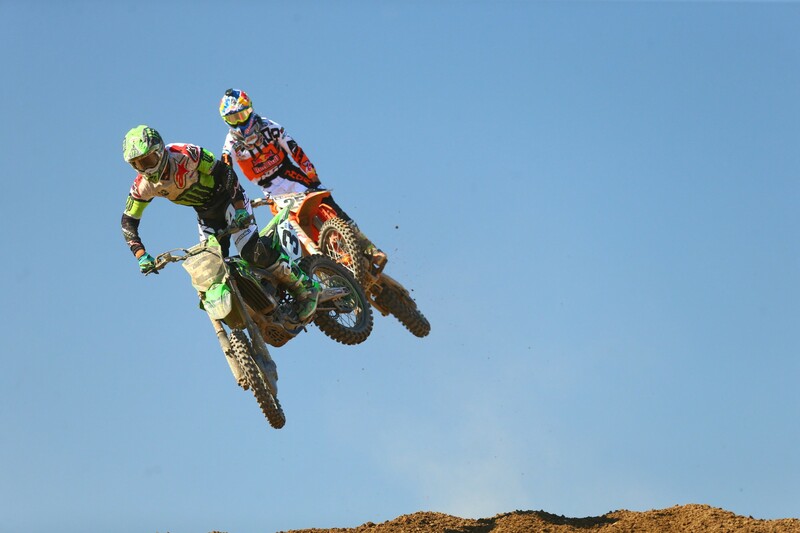 Despite his fantastic performance, Tomac admitted there was a few moments in the second moto where he was worried he might not catch the leaders. “I was a little bit worried, yeah. Early on, no, but once we got going I was like, ‘Man, I’m not making the passes I want to as soon as I want to.’ We were struggling a little bit more. Plus, the track broke down more. It was pretty gnarly. But I felt like I wasn’t taking huge risks. This place just gets super gnarly and it’s the first round coming off supercross. It beats your hands all to heck and your body too. It’s not a friendly one. 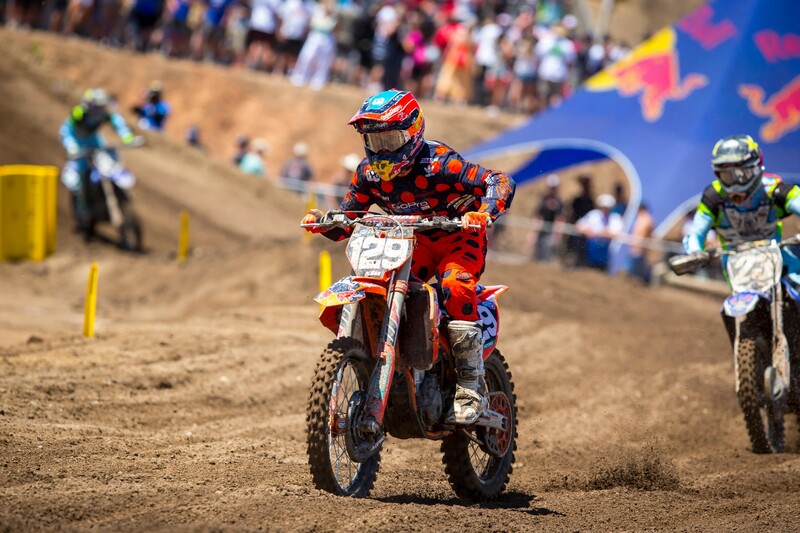 Despite having a sizable lead in the second moto, Musquin said he knew Tomac was going to be on his rear wheel, and that he was happy to walk away with second overall. 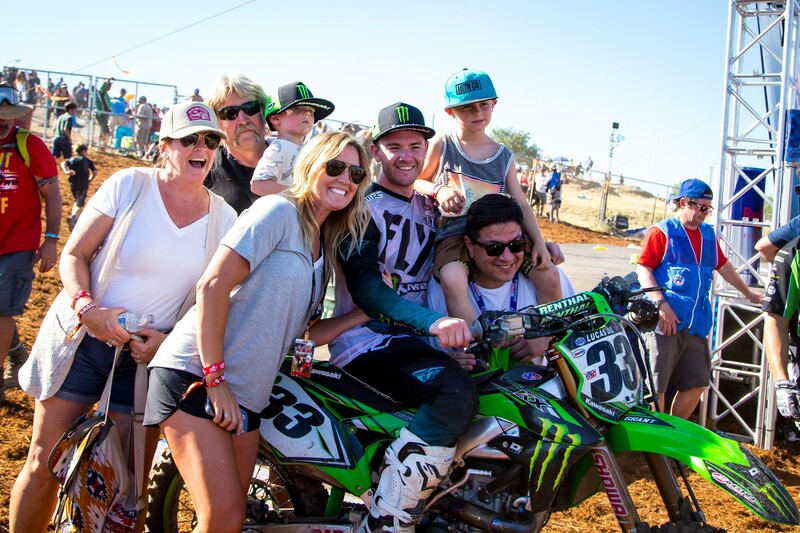 Tomac’s teammate, Josh Grant, also had a fantastic day, going 3-3 for third overall, leaving himself set to come into Glen Helen, arguably his best track, with a full head of steam. 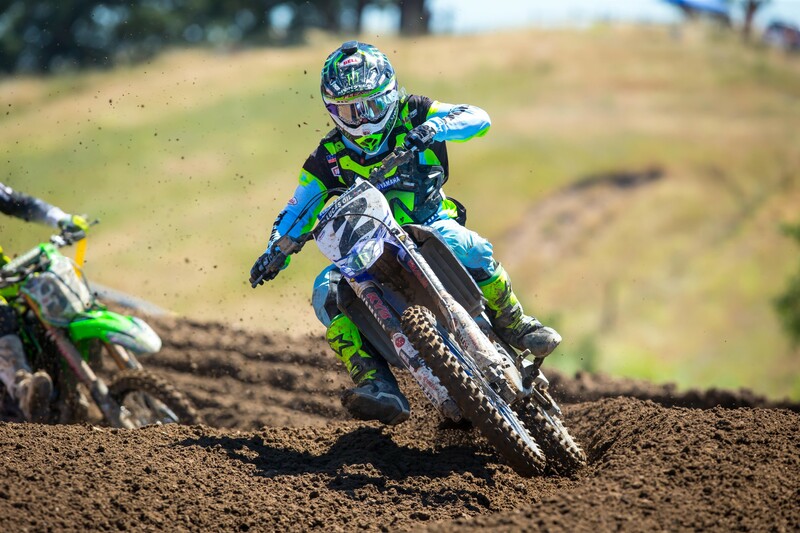 Osborne put on his own display of speed too, leaving zero doubt in anyone’s mind that the brilliance he displayed in supercross would indeed translate to the sizzling conditions and gnarly race tracks of Lucas Oil Pro Motocross. 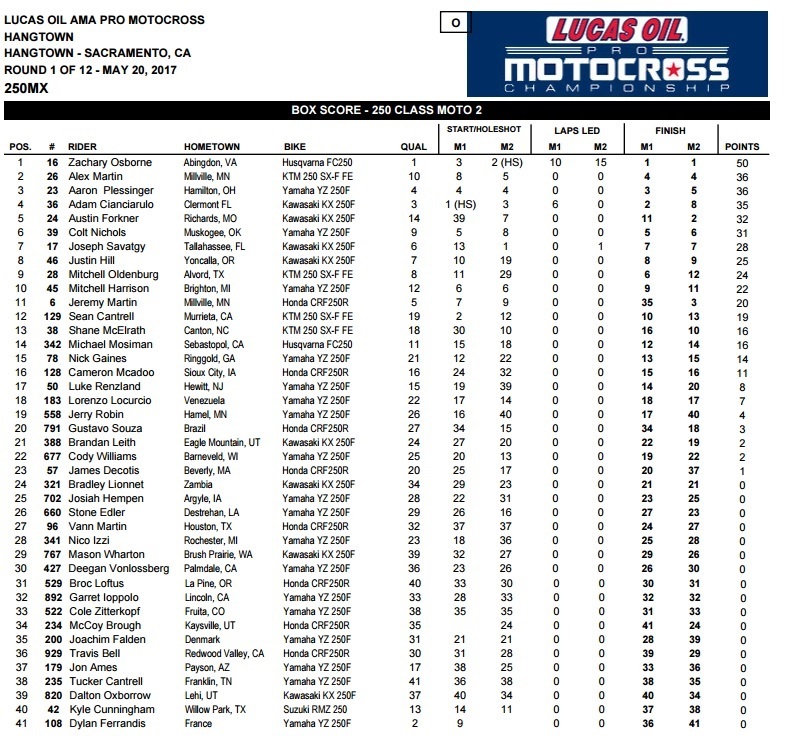 Osborne didn’t holeshot either moto, but he got decent starts, rushed to the front, and checked out both times once he got there. 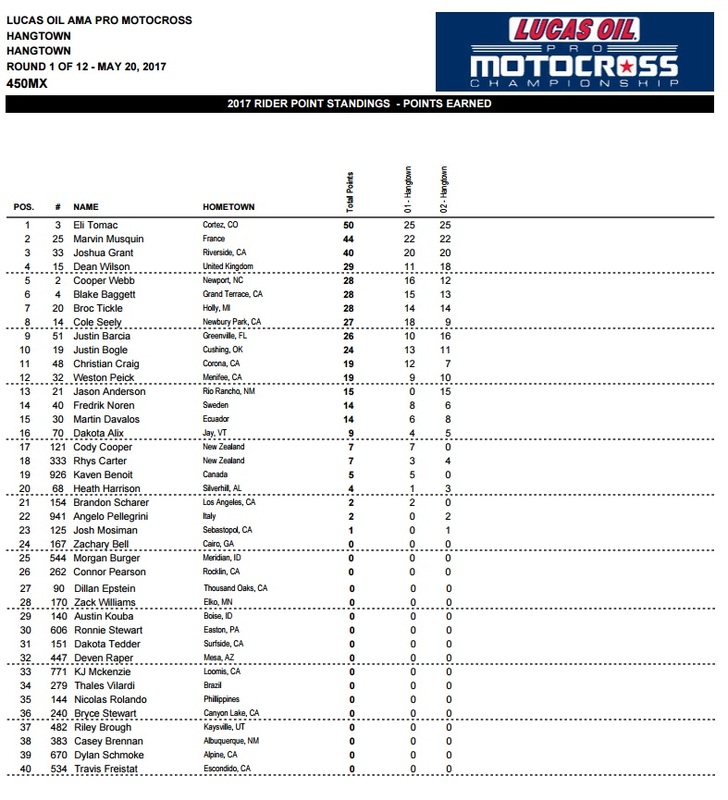 As a result, he leaves Hangtown with a fourteen-point lead over Aaron Plessinger, who’s tied for second with Alex Martin. “Our goal today was to be in the top five, and if we could get on the podium, that would have been really good. So to come away with a 1-1 is great,” Osborne said afterward. When asked if the incident with Savatgy in Las Vegas, in which Osborne cleaned out Savatgy with two turns to go to take the title, crossed his mind when he found himself battling Savatgy for the lead in the second moto, Osborne admitted it had. 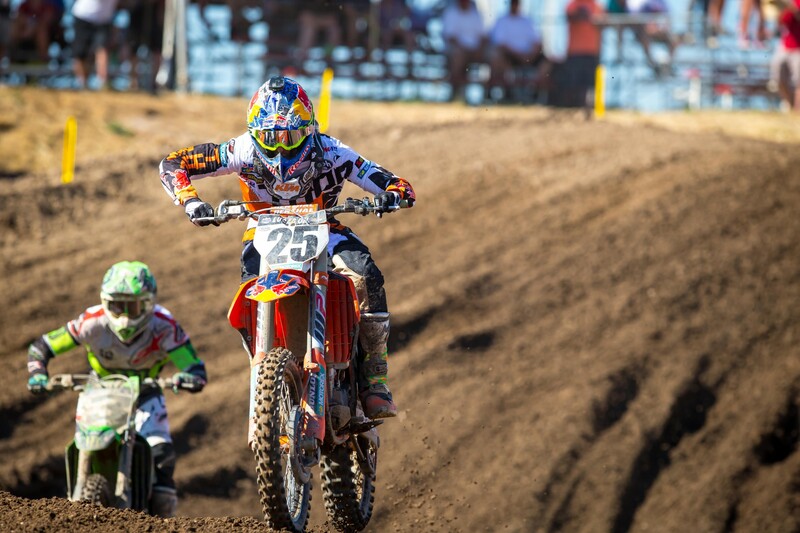 Despite fading slightly at the end of the second moto, Alex Martin said he was happy to walk away with second place. 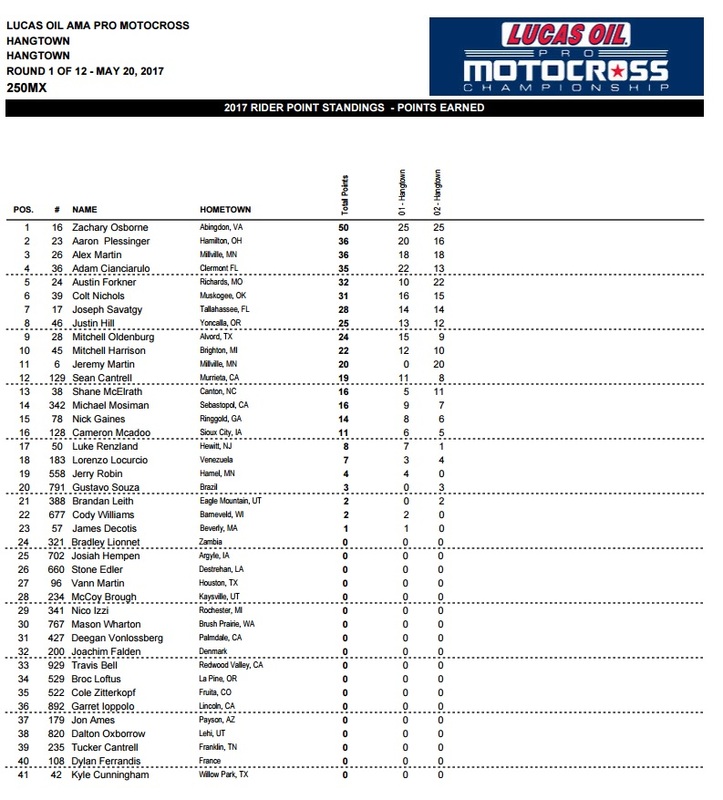 Justin Barcia and Dean Wilson also decent days, but their actual performances were better than what the results reflect. 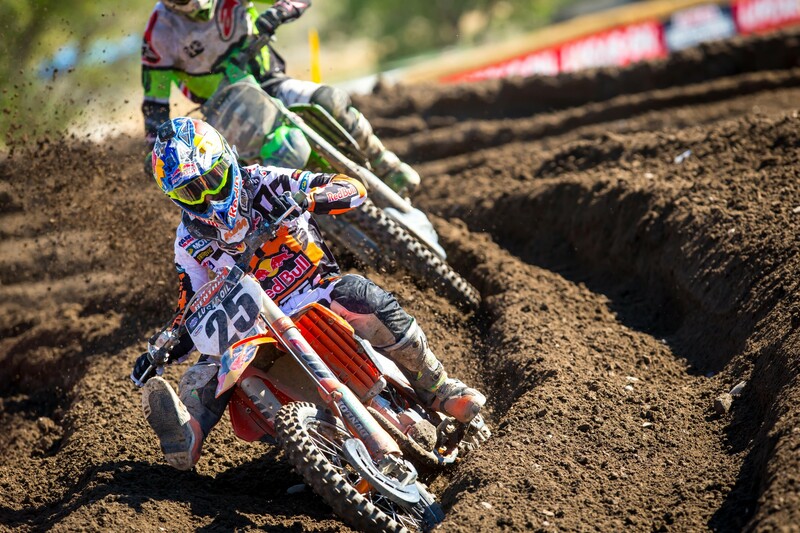 They both rebounded from less than desirable first motos to log top-fives in the second. Barcia crashed in the first, but started well in the second and maintained fourth for quite a while before a charging Dean Wilson, who’d also crashed in the first moto, took over the spot. 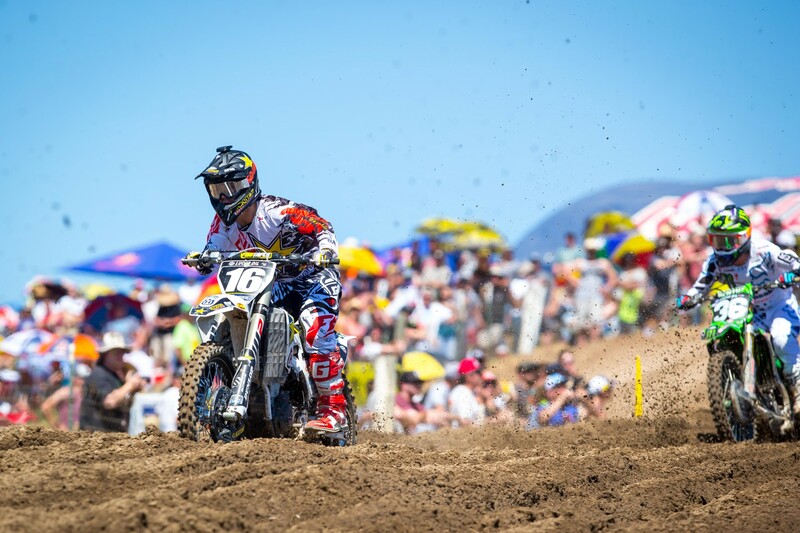 Wilson was on it today, and if not for his crash in the first moto he may have been in the top five overall. If you’re wondering why Wilson and Barcia both crashed in the first moto, you can blame Jason Anderson, although it wasn’t entirely his fault. Anderson took some heavy-duty roost to the face, which opened up a cut, which in turn caused blood to flow into Anderson’s eyes and blind him. In case you didn’t know, it’s hard to race a motorcycle when you can’t see, and Anderson attempted to exit the track and ended up taking Barcia and Wilson down as he did so. 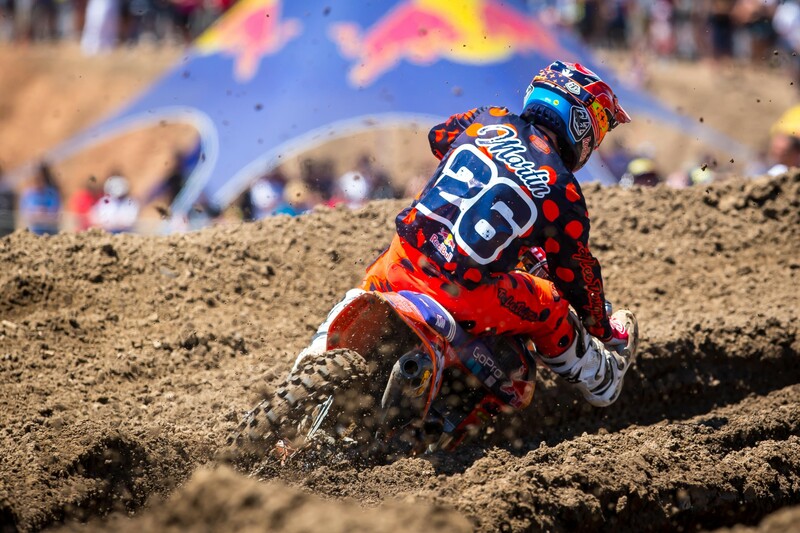 Anderson had a crash early in the second moto but was still able to make his way back up to sixth. 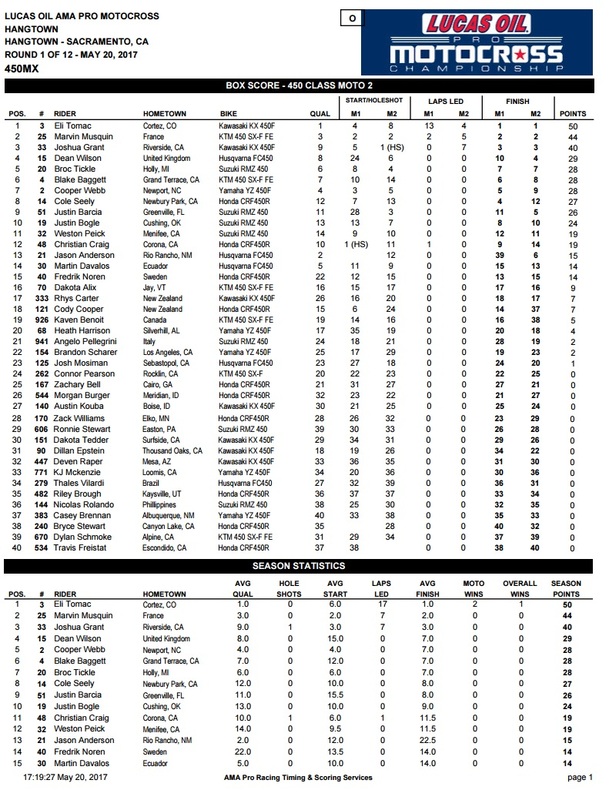 Elsewhere, in the 250 Class, a few guys had days they’d rather forget. In fact, one of them might not actually remember. Dylan Ferrandis, who qualified second overall, was having an excellent race in the first moto, running as high as fourth before he crashed and hit his head pretty hard. The decision was made to pull him out of action for the rest of the day, and as of now there’s no word on his status for next week. 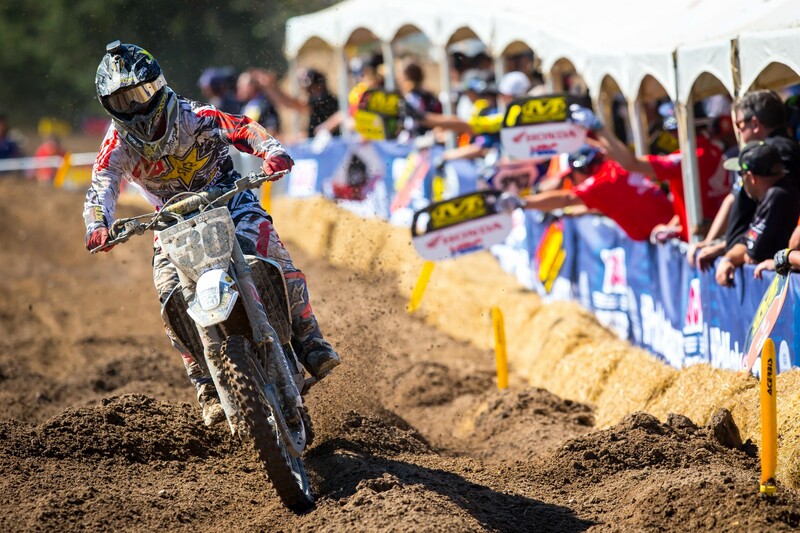 Jeremy Martin had a rough day too. After getting a lackluster start he was making his way through the pack when all of a sudden his bike stopped running. Just like that, the two-time National Champ’s first moto of the season was ruined. 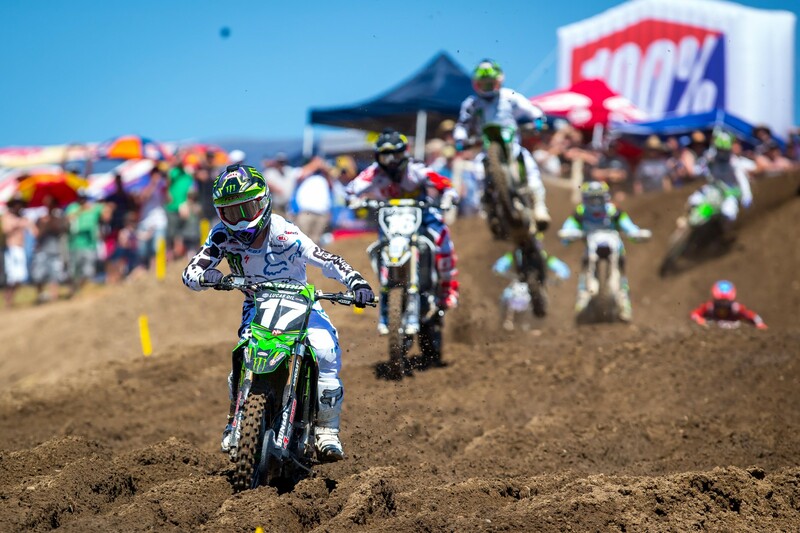 To his credit, he came back strong in the second moto, surging in the end to take third from his brother, Alex, and making a run on second place Austin Forkner. Martin wasn’t able to get Forkner, but third in the second moto is much better than a DNF in the first.